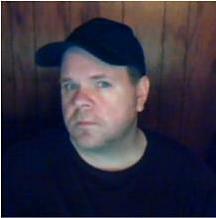 Hi I am John Carl Toth from Johnson City, TN. I am a freelance composer. Native of Chi-town, I have been on and off the music scene for over 20 years. Started off like most people doing mixes and and playing around with a few music programs. I was always into computers and what not and that lead my to producing all my tracks digitally. For the past 2 years I have been focusing almost exclusively with making sound tracks and background music for TV and Film. Film, horror, talking philosophy and history.